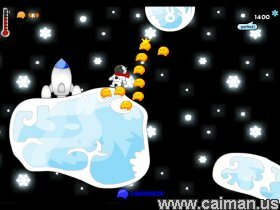 Caiman free games: Frozzd by Jesse Venbrux. Free all Mubblies, guide the Mubbly creatures, and use them as an army to defeat the Frozzd. 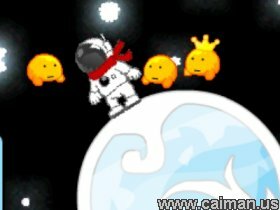 Then return to your spaceship to complete the level. Kill enemies for points and use the points to open up new levels. There are 12 levels, a boss, many different enemies, and great music. Robocop 2D 2: Robocop v.